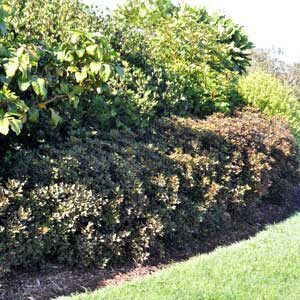 An excellent small growing form with new green foliage which turns dark purple, especially in colder climates. Has a tidy habit & looks great all year round. Tolerates most soils, coasta & climatic conditions. Sun or semi/shade. Evergreen. 1.5x1m.